i can send you some konica centuria (i took this picture with it) as well! 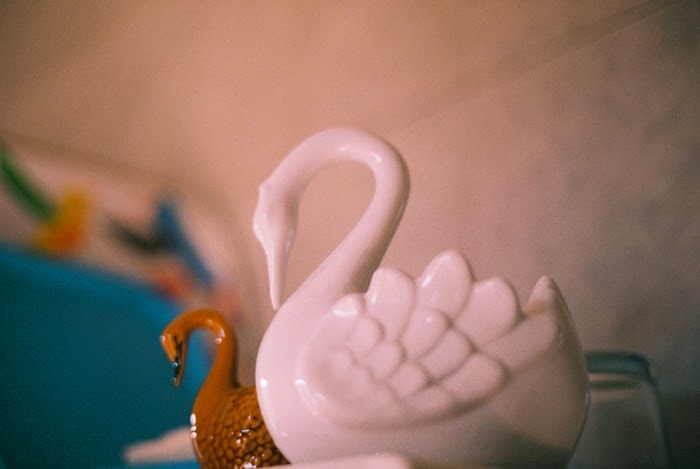 ooooh your swan pots! love them! I've never seen any like that small orange one, it's lovely! pretty pretty! what they do in your kitchen?